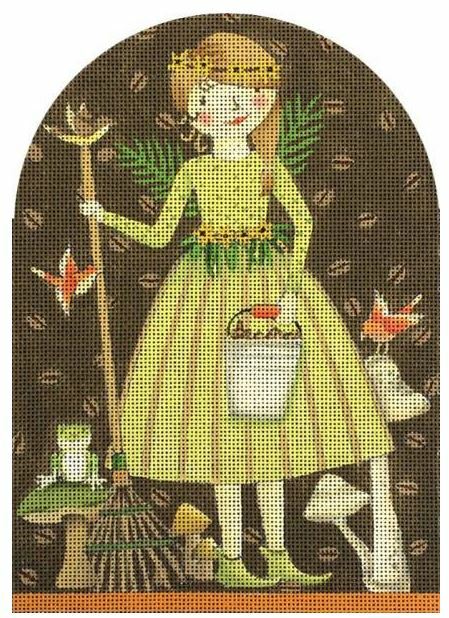 What a great piece for your kitchen. 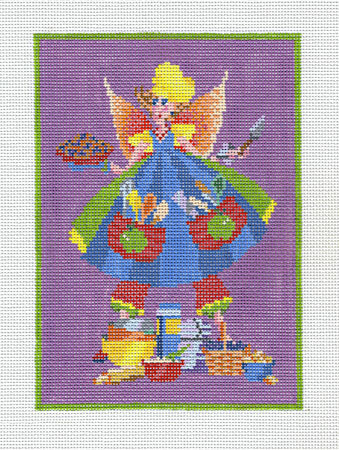 Do you think she can really cook and clean up 5 x 7 stitchpainted on 18ct. 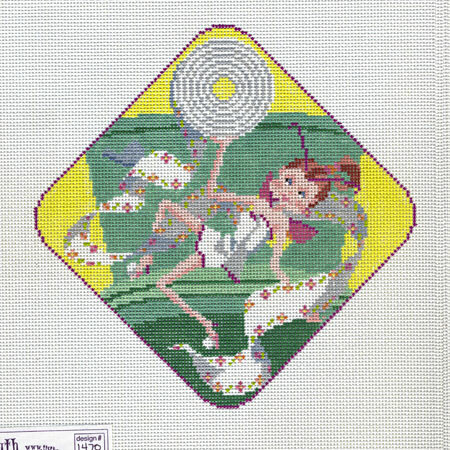 Welcome this pixie into your bathroom and she will do the cleaning for you. 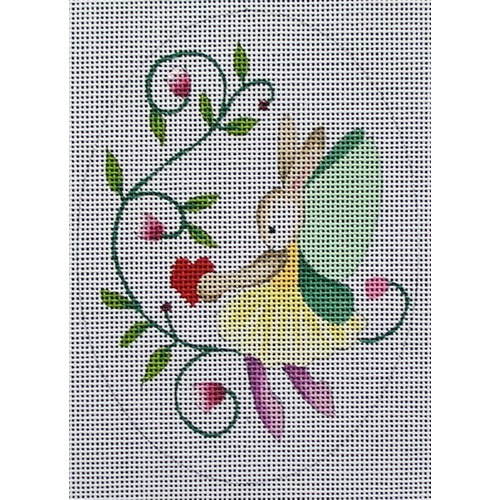 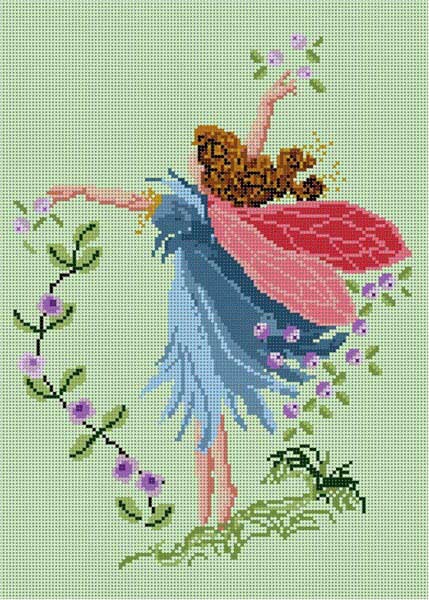 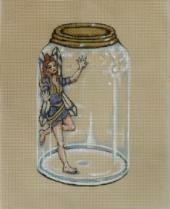 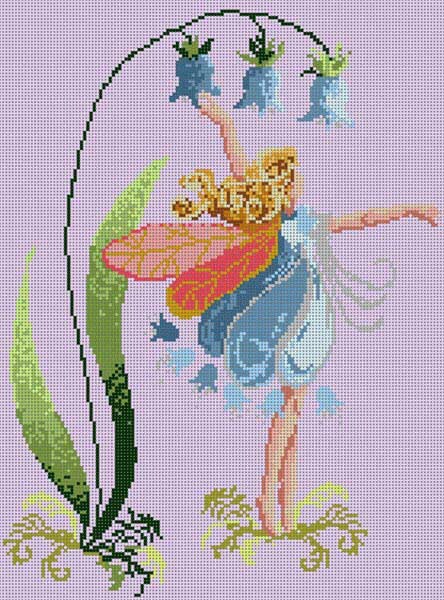 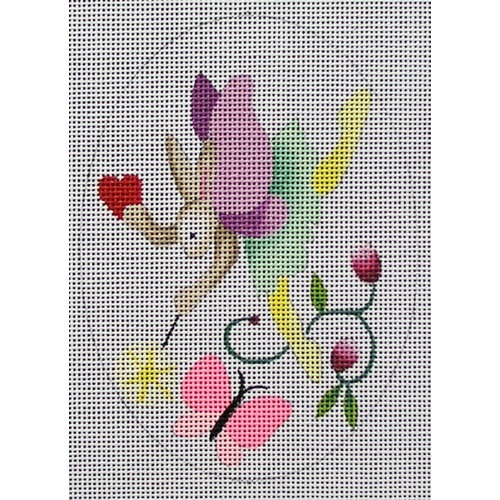 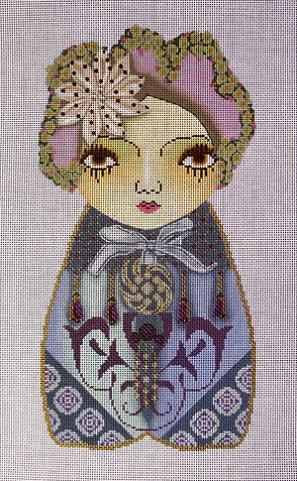 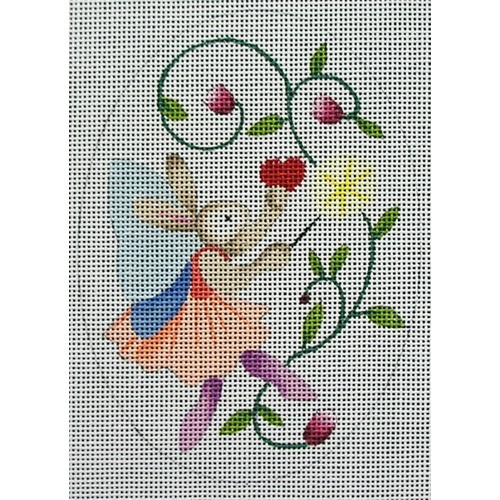 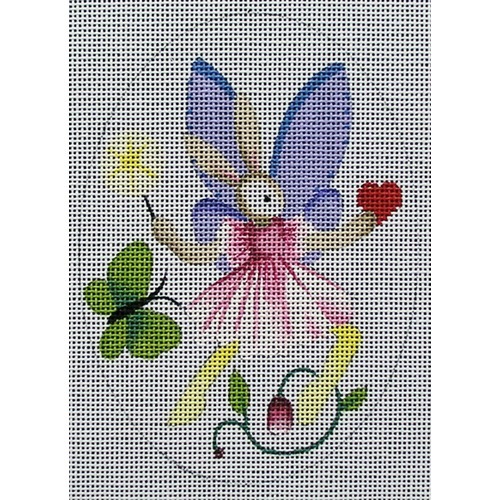 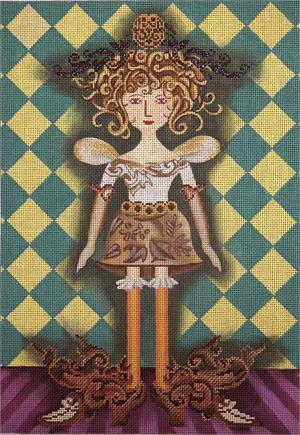 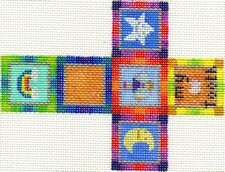 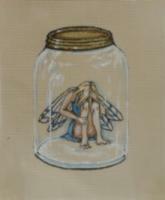 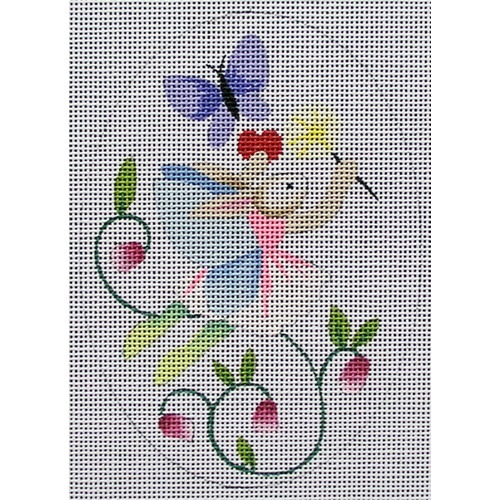 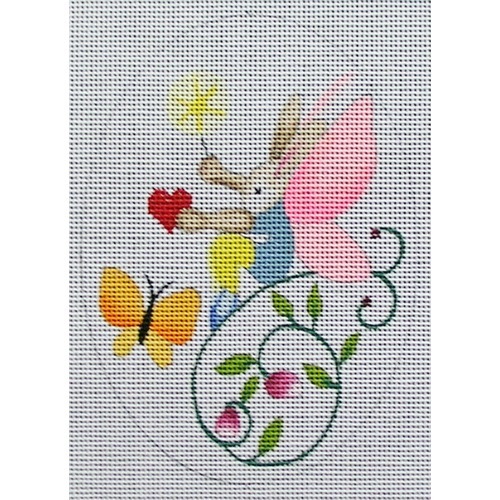 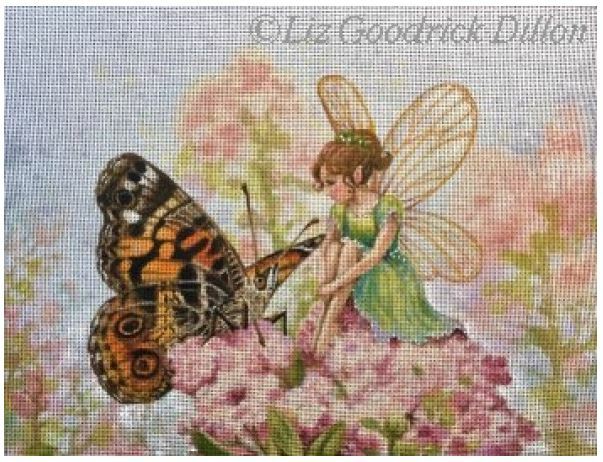 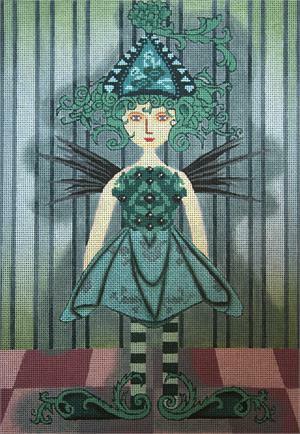 A girl can dream, can't she 7" x 7" Stitch painted on 18ct. 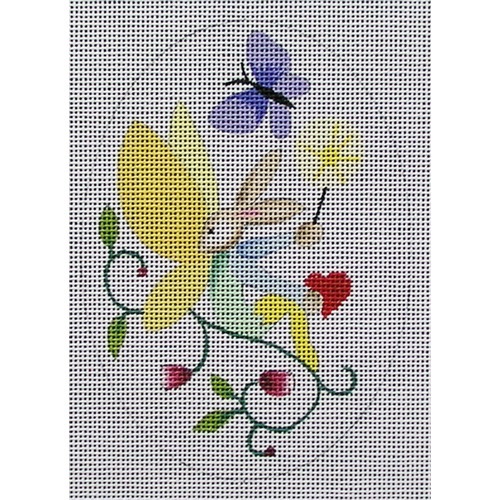 Mesh Size: #18 Measurement: 12" x 9"